The OASE UKK1K is a fully submersible, IP68 Rated electrical cable connector, designed to repair or join cables underwater. Ideal for repairing pond filter pump, fountain pump or underwater lighting cables. The UKK1K can also be used to extend electrical cables in water features or ponds in a fully submersed state. 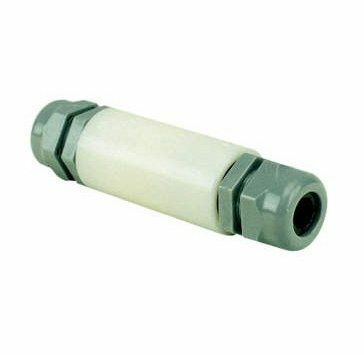 IP68 Cable connector, suitable for permanant submersed use. Accepts 3 core 1.5mm² cables 7 - 14mm diameter.